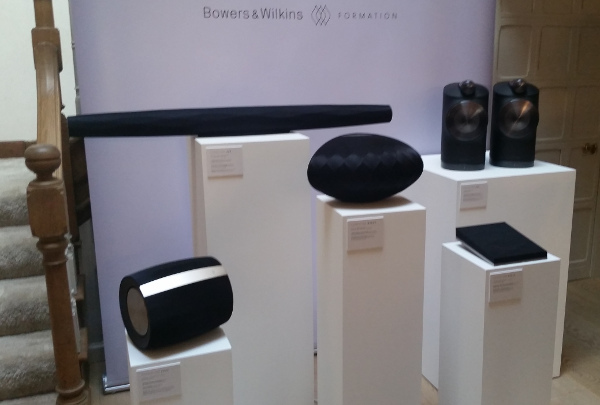 Having purchased venerated loudspeaker manufacturer Bowers & Wilkins back in 2016, the now five-year-old EVA Automation has injected their streaming platform into a suite (not a ‘series’) of new B&W models that talk to die-hard audiophiles and the man in the street alike. 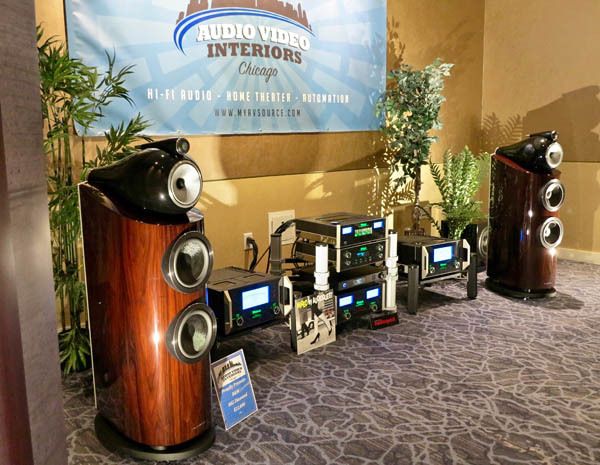 Despite the challenging acoustics of air-walled conference rooms, retailer Audio Video Interiors produced extremely satisfying sound. True to McIntosh Laboratory’s sonic signature, the company’s C-1100 preamp ($14,000), relatively new 600Wpc MC-611 monoblocks ($15,000/pair), and MPC-1500 line filter ($5500) produced a beautiful, strong midrange and mellow top. On Steven Strauss’s “Old Crow,” for example, the clangy metal of electric guitar took second place to the smoothness of the instrument’s midrange core. Ditto for a recording of a medieval-sounding “Hopper Dance” from an old (as in olde) Telarc Surround Sampler, where deep bass was excellent and the trumpet’s metallic top was muted.